Fundraising Event for the Albert Basin Park Project! It has been a wonderful year for the The Albert Basin Park Project as we move our campaign forward to get Newry City the Albert Basin City Park that it so rightfully deserves. 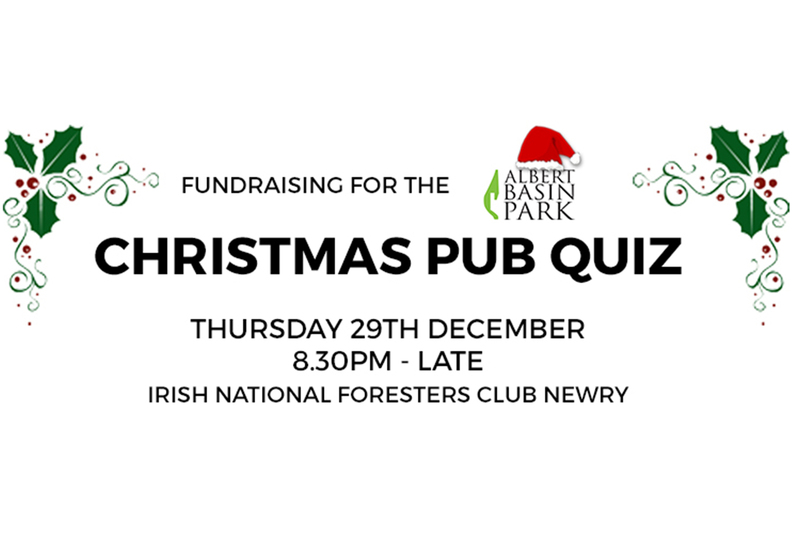 We thought what better way to finish the year than by having a CHRISTMAS PUB QUIZ. Round up your friends and family and please come along and support what will be a great local night for a great local cause! ⟵A City Park for Our Future – Schools Support the Albert Basin Park Project! Great Turnout for Albert Basin Park Christmas Pub Quiz! A City Park for Our Future – Schools Support the Albert Basin Park Project! Local GPs Prescribe a 15-Acre Park for Newry City! Rani S on Great Turnout for Albert Basin Park Christmas Pub Quiz! Joseph Cunningahm on Take Part in Our Newry Park Survey!